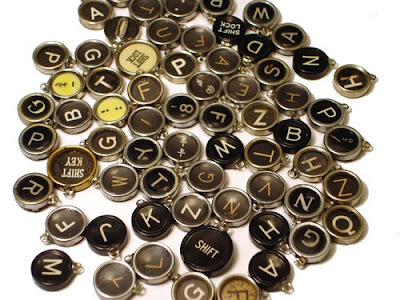 Look at all the different things you can do with vintage typewriters! 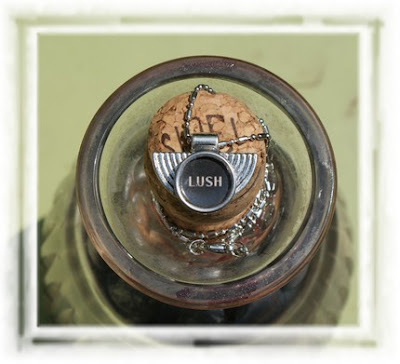 check out this great pendant! 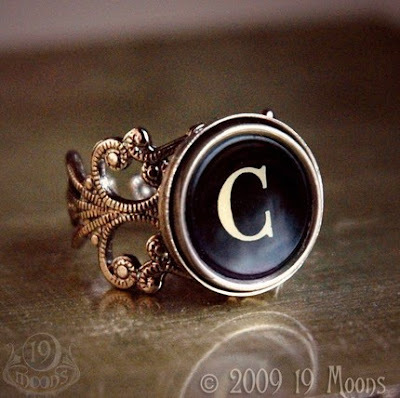 get your initials on a ring... love this! Even if they are not in perfect working condition, they are still great display pieces! I love the graphic quality! Isn't this green one great? 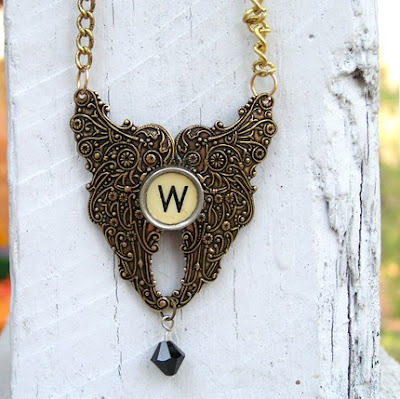 Check out mine for sale on etsy here! 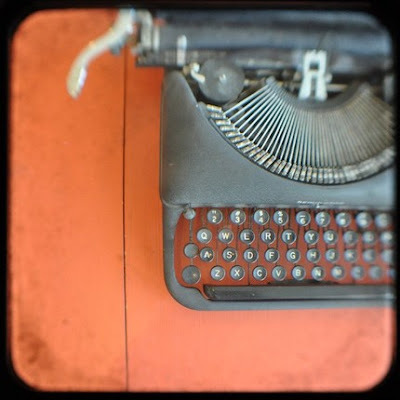 I love vintage typewriters. 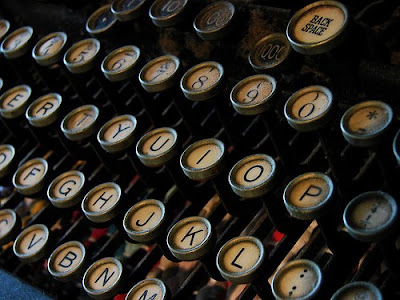 My grandfather was a minister and I have such incredibly fond memories of him typing all of his sermons on his old typewriter. Thanks for the nostalgia. what a great find. Is super cool to see all the things that it does and it looks great as well. 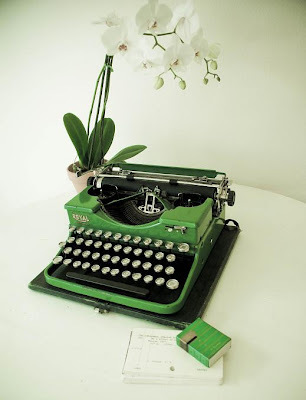 I love that green typewriter! I love the sound they make! That is really a neat idea! 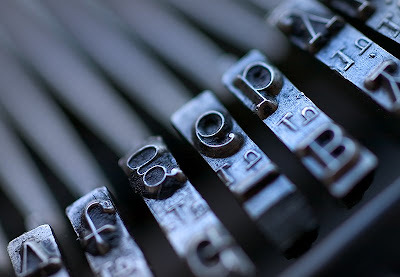 When I was growing up, my dad had a side business of typewriter repair..our basement was full of all kinds of typewriters. I wish I still had some of those gems! OH MY GOSH I LOVE LOVE LOVE THE RING! I love them as bookends! 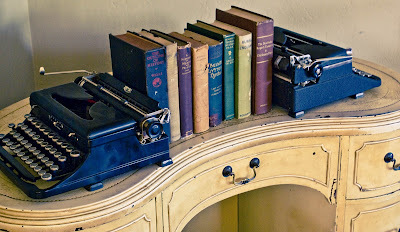 I too love old typewriters - I love idea of using them as bookends - and that ring...love that. Can you remove my photograph from your blog. 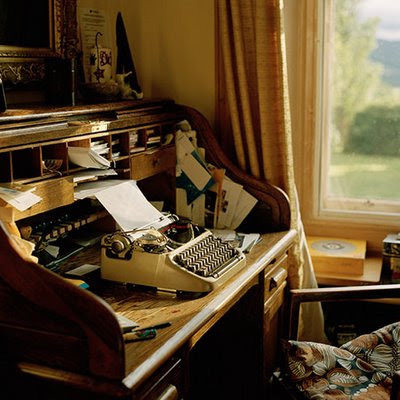 It is the shot of typewriter on the old roll-top desk with a yellow slide box in the background below the window.